You are here: Home / blog / Is your Website KILLING your Traffic? 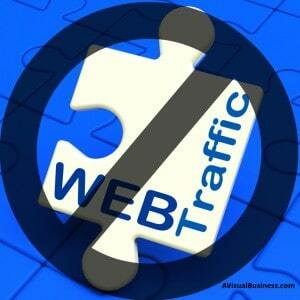 Is your Website KILLING your Traffic? What? How can your website kill traffic? Well, it’s easy, unfortunately, and too many business owners are killing their traffic, sending them away with their website. Your website is likely your main resource place for information about your website and for many, it may be the first impression. But first, let’s look at the type of traffic that you may get – huge potential reach. There are a number of reasons why you may be losing traffic that you worked so hard to get. 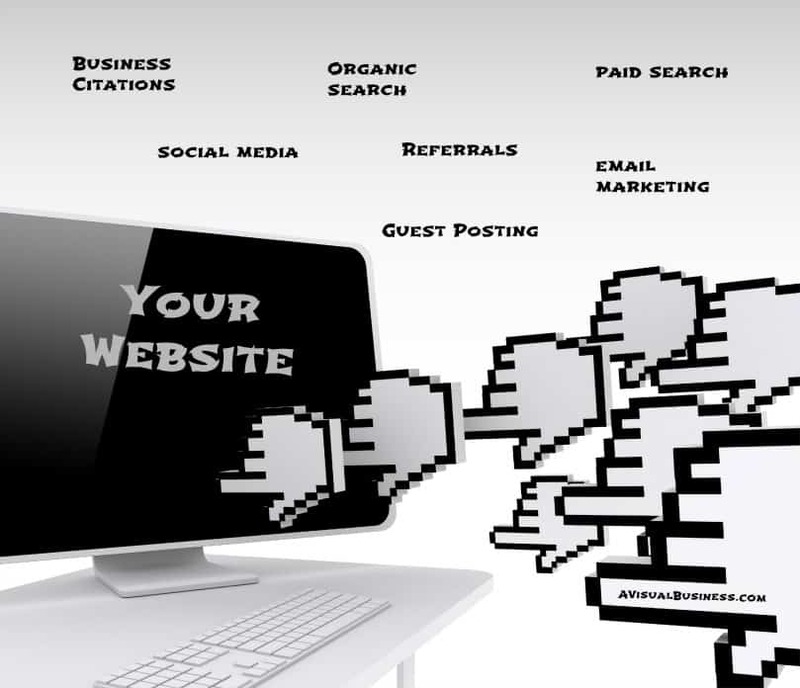 Don’t throw away your money by spending valuable time and resources working on your citations, guest blogs, blogging, social media, SEO and PPC if you don’t have a website that is welcoming. So, how do you know if your website is killing your traffic and making folks bounce the minute they get to your site? Do you follow the website standards? – Think about this and ask for help if you don’t know but there is a natural way with websites, a template of “where things go”. Be sure you are following those. Navigation should be along the left or the top with pages for your services, home, contact, about. While clever titles are okay for these tabs, remember, the idea is to get folks to look around, not confuse them. Are your social media icons easy to find? Is your contact information in the header? Do you really want your consumers to have to work to contact you? BTW, quick note, they probably won’t, so don’t make them work. Visuals – we hear all the time how important visuals are so be sure to include visuals to help tell the story – plus it gives an idea about your product or service that could be explained quicker with a picture. Keep it pretty though.. paragraphs and paragraphs of text with no visuals, no white space, no headings will surely send them packing. Headers tell the reader what that next paragraph or section are about. Folks these days are busy, they will scan the text more than reading the whole thing, so use some colors (consistency, uniform and not excessive), bolding, bullet points or numbers to help break it out. Links – links give the reader the opportunity to learn more. Hopefully your website is organized well and they can find what they need easily, but if they find links to more information on the page they are reading, they may be more likely to read more and stick around. Score! MAKE IT EASY FOR THE CONSUMER – the more you make them work to find what they want, the more likely they are to abandon your site, and potentially not come back. What is your pet peeve when you look at a website? What things do you look for on a website? Feel free to share those thoughts in the comments below. Should you have any questions about your website readability, search engines optimization or maybe want to schedule a marketing consultation, contact me and let me know how I can help you and your business grow. Great info, Kristen! I honestly don’t stick around more than a few seconds if I get to a site that isn’t easy to navigate or that I feel like I have to play treasure hunt to find basic info. I wish more folks would take your advice! Thanks Cathy! I wish they would too! LOL But yes, I am like you… if I have to work too hard, I won’t be staying! Nicely organized, sound advice, Kristen. Do you recommend a certain number of pages for a website for a medium-sized company? Thanks Sharon, it just depends on how many services you offer and how much content you can come up with for those particular services/products. great article and some really sound advice! Your advice is solid and valuable. If people would follow it, they would find smooth sailing. Keep it up, girl! Thanks Beth! I appreciate it! I will continue to push forward! Great information! I’m always looking for ways to update and enhance my sites to make it as user-friendly as possible. You’ve given me some things to double check. Thank you! Glad that I have given you some suggestions to improve your site. Let me know if I can be of any assistance! I have heard that you have 8 seconds to make an impression with your website and after that — gone! My biggest pet peeve on a website is a lack of contact information. Please don’t make me fill out a gigantic form to shoot you an email! Give me your freaking address! Thank you for letting me vent. Good tips, having a solid site is key before paying for traffic! Thanks Lori… having a good website is key for it all and to constantly be working on it to improve it. Good info as always, Kristen. I never thought about putting my contact info in the header. Thanks Carol. I think you still need to work on your header, hopefully Katrina is getting that done for you? Great post! 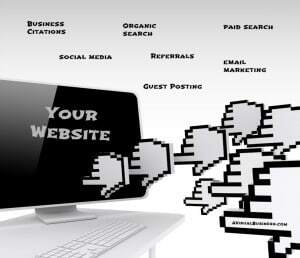 One thing I noticed with my clients is often they have overcrowded websites. Prospects land on a certain page and there are straight away hundred different things to look at. They keep telling me it’s because they want to make sure those prospects will stay on their site. In reality, it’s exactly the contrary happening. Sometimes less is more. Creating a streamlined site with having one call-to-action per page is a great opportunity to take the lead and guide your prospect where you want them to click through to, as opposed to giving them a million choices… Thanks for sharing! Yea, if they work on the landing page for that particular product/service, the search engines will give them the most valuable page, which has just the info they need versus putting everything on every page. Just doesn’t work that way. Thanks Erika! Oh, there are so many things that make me leave a website! First, very busy websites, flashy ads and widgets (yes, still seeing a few of those out there), light text on dark background, text not formatted properly, no images, no links to more information. And many more, but this is like the top list. Yesss… Delia, those are reasons I would bail too… thanks for putting that out there and as blogger such as yourself… you’ve probably seen a ton~! Love this article. You could have the best product or service around but if your website is lacking or not easy to navigate that could all be for nothing. Content is vital to getting the traffic and more importantly traffic that will convert into business. And boring content and a site that’s hard to navigate will send people running the other way. Thanks so much Mike, glad you found it valuable. Content IS vital, so true. Great post – So many people dive right in and create a site without any research or planning and go in after-the fact wondering why they don’t get any traffic. Just because you throw money at something doesn’t make it good. You need to be smart. Thanks Kristen as always valuable information! I’m getting ready to make a few changes to myself right now, so very timely!! Excellent article. Learned a couple things and will be saving this article to refer back to. Thanks Ginny, glad you saw some value and will return for it. Let me know if there is anything I can do to help. Great info as always Kristen. Visuals and ease of navigation are so very key in interesting people to stick around. I keep hearing that more content is better and honestly even though I believe I have a LOT of content on my site, when I do those website analysis, the one think that comes up is “add more content”. It is interesting to me as my sense is most people don’t actually stick around that long on most sites to “explore” the content, unless they have a specific interest in something they see. Are you saying the contact info should be in the navigation bar? I have mine at the bottom of each page and then have a “connect” button in my navigation bar. Hopefully this makes it easy enough to get in touch. Thanks for the to the point and helpful post! Content is more valuable in order for the search engines to find you… however the visuals are more for the consumer. But the thing about content is… if they skim and you make it easy for them to read, they will read what interests them… if you provide very little, they may not get all they need… so more is better… but as long as you keep the most important at the top and organize it for skimmability. Yes, contact should be easy and several places. I like to see contact info IN the header, or maybe in the sidebar, also in the footer and even in the content. What a satisfaction you would feel that you can share to anyone how the business grows through your detailed information on how your website kills your traffic. Additionally, your presentation is so clear as to have a complete understanding of the fundamentals and the processes. I am working on updating my husband’s website. He still doesn’t think it is necessarily what will be the deciding factor for most people to use his mortgage company and he is definitely right but I have to remind him first impressions are important. I agree, in that industry… the know, like and trust will be the deciding factor, however, people still like to research on their own and if they land on your site and it’s crap, that might turn the referral of “trust” to ehhh, not really sure about this guy. Plus, if you can drive more traffic and more eyes, there is a possibility to get more clients. Yep – I am sure that I’m running off traffic due to my ugly website (the bounce rate is HIGHHHHH) – so I’m spending a little time each week trying to make it more user-friendly and customize it to look more welcoming. Oh if I had more hours in the day!!! It was my first visit to your blog and found some valuable learning resources. I had Never considered earlier that website can kill traffic. Thanking you for kind share. Thanks for the comment and glad you found value in it! You said it right, website has the ability to increase as well as kill the traffic. If the user finds it easy to navigate and fast to load along with amazing content then chances are more that he/she will visit the site again. Poor site design can increase the bounce rate and I have seen it personally. I have tested a lot with the site designs and one experiment came out to be a disaster, the pageviews decreased by more than 60% immediately I changed the design. Showing similar content below post content also increase the user engagement and they might end up sharing your articles if they like the content meat you have prepared for them. Thanks for stopping by Karan and that is so true about site design, it can surely make it or break it! Valuable Information As Usual. Thank you for sharing. Awesome thank you for the compliment!